Pulsating run-chase sees Dinesh Karthik clear the ropes off the final ball to secure India the Nidahas Trophy. Wicketkeeper Dinesh Karthik launched the last ball of the match for six to claim the Nidahas Trophy for India after a dramatic final with Bangladesh at the Premadasa Stadium in Colombo. India, chasing 167 to win, looked to be out of it after a superb wicket maiden from left-armer Mustifuzur Rahman in the 18th over left them needing 34 from 12 balls. The departure of Manish Pandey brought Karthik to the crease and he proceeded to smash 22 runs from his first six balls from Rubel Hossain. But when Vijay Shankar’s modest innings of 17 off 19 balls came to an end, India needed five to win off the last ball. Bangladesh were in sight of their first T20 win over India and only their fifth win in all international formats over India in 51 attempts. It was not to be, though, as Karthik managed to dispatch Soumya Sarkar over the cover boundary. The 32-year-old gloveman first played T20 cricket for India back in 2006 but this was only his 19th match – he did not play at all from 2010 until 2017 while the great MS Dhoni was irreplaceable behind the stumps. And it felt like Karthik was channelling the power of Dhoni as he produced the sort of defeat-defying innings of which his legendary predecessor would have been proud. Remarkably Karthik was not dismissed in any of his five innings through the Nidahas Trophy. India were given an excellent start to their chase by skipper Rohit Sharma, who made 56 off 42 balls before holing out to Mahmudullah at long on off Nazmul Islam in the 14th over, the result of building pressure from the Bangladesh bowlers. Bangladesh looked like marginal favourites from that point on with their victory looking likely until the arrival of Karthik. The result was reminiscent of the meeting between the two nations at the 2016 ICC World Twenty20 in Bengaluru when Bangladesh needed one to win with four wickets left before losing three batsmen without further score. Bangladesh’s innings was built on Sabbir Rahman’s fourth T20 international fifty and the second highest of all his 13 half-centuries across all international formats. The No.3 batsman hit seven fours and four sixes in his 50-ball 77 before departing with ten balls remaining. 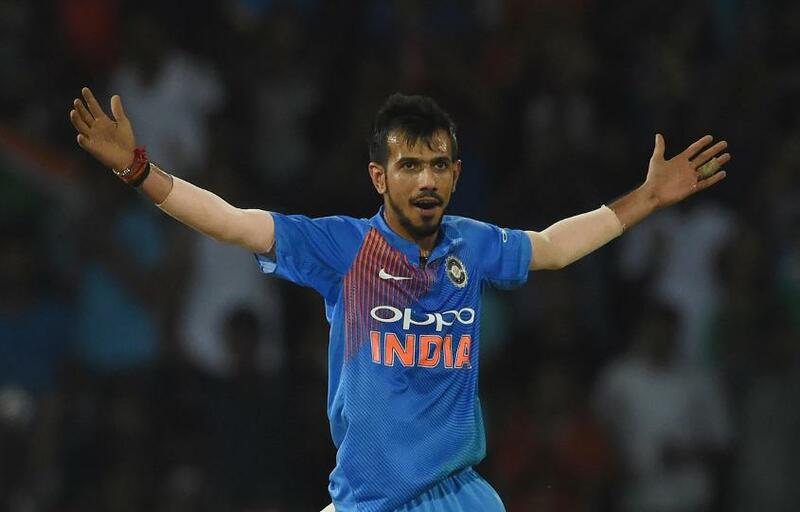 His fourth-wicket stand of 36 with Mahmudullah rebuilt Bangladesh’s innings when it looked to be in trouble at 68/4 after legspinner Yuzvendra Chahal had put the breaks on with a magnificent spell of three for 18. Late hitting from Mehidy Hasan Miraz, who made 19 not out from seven balls, took Bangladesh to a very respectable 166/8.